Sunday night’s Casting Crowns concert turned out to be a great time of worship. Singer/Songwriter Lindsay Mccaul opened the show with a couple of self written numbers. She was followed by the Texas band The Afters who warmed the crowd with popular hits such as Chris Tomlin’s famous “How Great is our God”. Ohio band Sanctus Real came after. Lead singer Matt Hammmit shared a heartwarming song about his son Bowen who had struggled with illness for much of his young life. The highlight of the night was definitely during the band’s performance of their new song “Jesus, Friend of Sinners.” Along with the band’s performance, an artist did a live painting of Jesus with his hands on a huge black canvas. He was finished before the song ended and the result was spectacular. 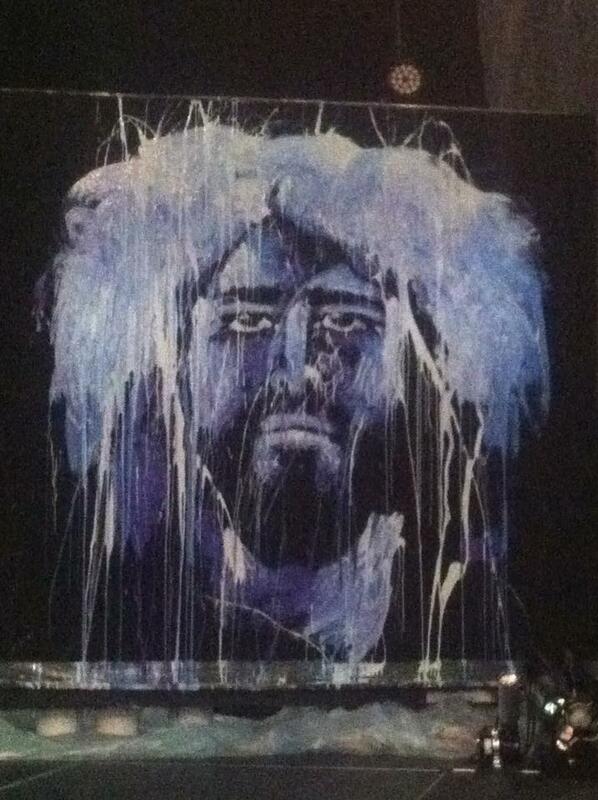 The crowd was in awe of this and many rushed to take photographs of this piece of art after the the CC encore. CanadianChristianity.com and ConvergeMagazine.com would like to thank LMG Concerts for giving us access to this event. Stay tuned for more event pictures as well as a video of the live painting coming tomorrow.